Ever hear the term “padiddle”? Until my search engine verified it, I sometimes wondered if I was imagining the word and memory. There are many versions of the padiddle game, which is usually played during car rides, and some variations are more risque than others. The way I learned it, a person who first spots a vehicle with just one functioning headlight gets to kiss a person seated beside him or her. Many was the time my heart pounded with dorky hope, but I have no memory of being a kiss giver or recipient. 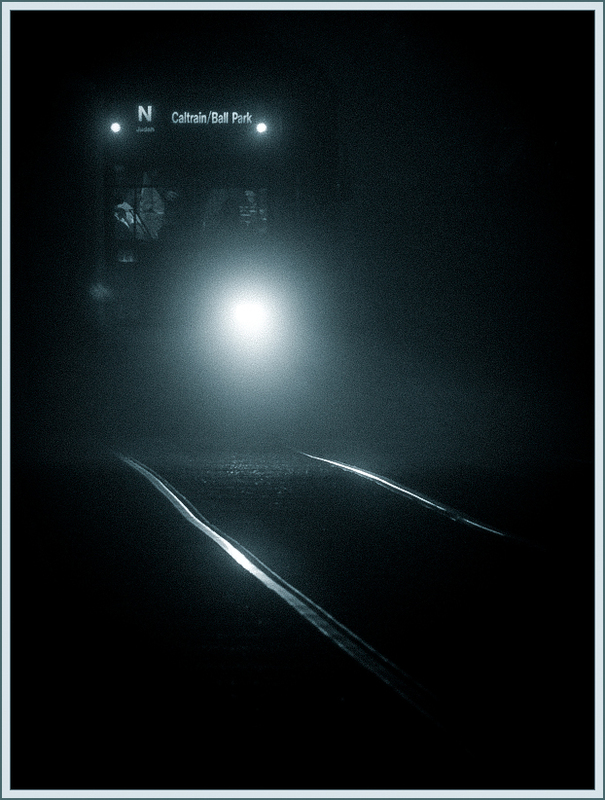 In case you’re wondering, I was alone on the night of this recent image, when a padiddly MUNI train rumbled out of the fog. Click open to see larger, and view it next to someone you love. After a short break, here is more evidence making the tongue-in-cheek case that (to appropriate Tolstoy) while all sunny photographs are alike, each foggy photograph is foggy in its own way. Today: Rainforest Fog. Actually, it’s here in San Francisco, the west side of Sutro Forest seen from the Inner Sunset neighborhood. 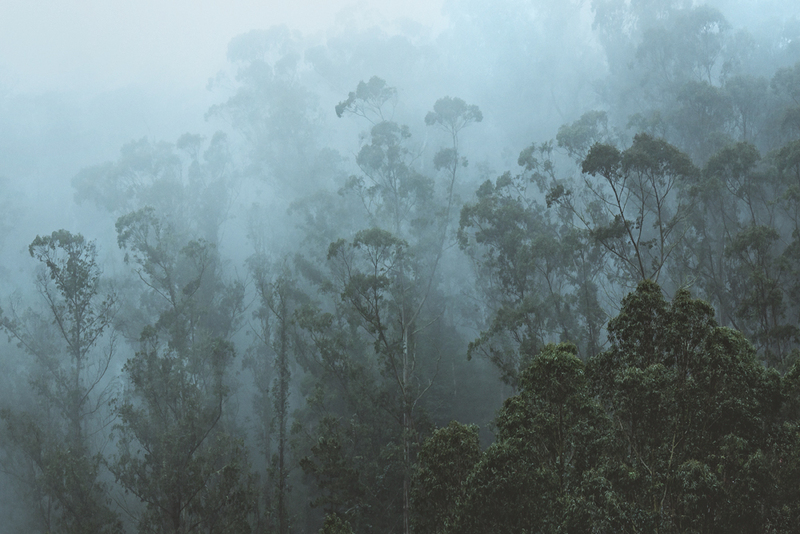 But the rangy eucalyptus tops, and the interlacing of fog and woods, often puts me in mind of a tropical rainforest.